President Muhamamdu Buhari resumes work after spending over 100 days in London, the British capital for medical vacation, BBC Pidgin has revealed why the president will be working from home. 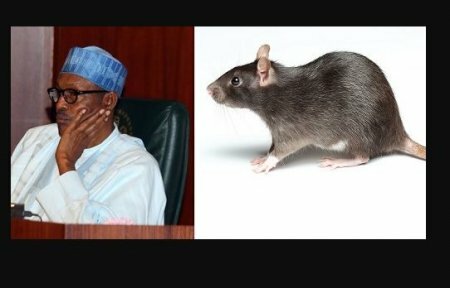 Garba Shehu, Senior Special Assistant, SSA on Media mata to President Muhammadu Buhari say rodents don damage di President office and dis na why im dey work from home. 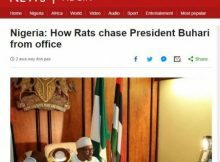 “After im no dey for office for about three months, rodents don cause plenty damage for di furniture and air conditioning units wey dey for im office and dis na why e dey work from home for now,” Shehu tell BBC. Shehu tell BBC say dis na one of di reason why dem dey clean and renovate di office now. Meanwhile, on this development, President Muhammadu Buhari met with the Service Chiefs in his office at his official residence, in the Presidential Villa, Abuja.